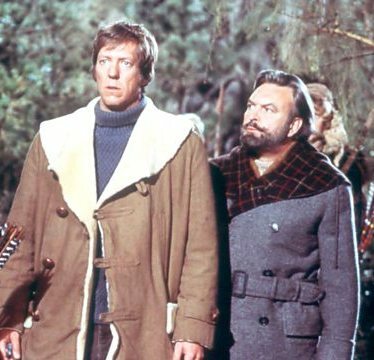 In London 1907, businessman Sir Anthony Ross (Donald Sinden) convinces Professor Ivarsson (David Hartman) from the University of Minnesota to accompany him on an expedition to the Arctic. Sir Anthony's mission is to find his son, David, who was lost somewhere near the legendary Graveyard of the Whales. The colorful, exciting poster lured me to the movie as a kid. David Hartman and Donald Sinden. 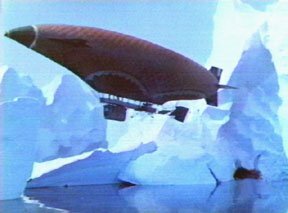 Accompanied by a French pilot and a poodle named Josephine, Sir Anthony and Ivarsson travel by dirigible to ice-bound Fort Conger, David's last known location. They gather more details about David's disappearance and trick his Eskimo guide, Oomiak (Mako), into joining their quest. 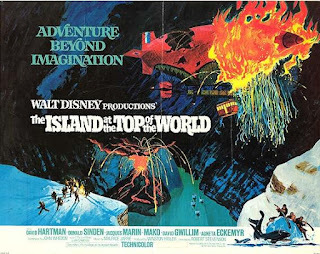 The journey to The Island at the Top of the World is the best part of this 1974 Disney adventure. The London scenes and the dirigible flight evoke a nice sense of period. And while David Hartman is his usual sincere, if somewhat dull, self, Donald Sinden propels the plot forward, capturing Sir Anthony's almost manic drive to find his lost son. Unfortunately, as sometimes happens with this type of film, the payoff is a letdown. I won't spoil the plot, but suffice to say that it gets bogged down once Sir Anthony and Ivarrson reach their destination. The film is almost saved by a modestly entertaining extended chase sequence packed with special effects. By then, though, it's too little too late--plus the special effects range from the good (the inevitable dirigible explosion) to the bad (man-eating killer whales). The Hyperion, the film's dirigible. Clearly, Walt Disney Productions was hoping that The Island at the Top of the World would recapture the magic of its earlier fanciful adventures, such as the classic 20,000 Leagues Under the Sea. The studio entrusted the project to its "A" team, with veteran director Robert Stevenson (Mary Poppins, The Absent-Minded Professor) at the reins and Hal Gausman (Son of Flubber, Bedknobs and Broomsticks) designing the elaborate sets. Both craftsmen had experience working with effects-laden films. In addition to its in-house technicians, Disney got Maurice Jarre (Lawrence of Arabia, Dr. Zhivago) to compose the score, which is lovely without being particularly memorable. Veteran Japanese character actor Mako, who earned a Best Supporting Actor nomination for The Sand Pebbles (1967), heads the supporting cast. 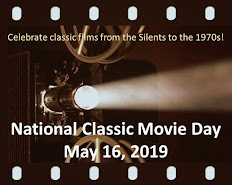 It also includes French actor Jacques Marin (Charade, Marathon Man) and David Gwillim, who became best known for his British television appearances (e.g., the excellent miniseries of The Citadel with Ben Cross). Swedish actress Agneta Eckemyr, a former model and future pin-up girl, plays the female lead (which is a small part in a male-dominated film). 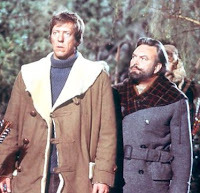 The Island at the Top of the World was based on the 1961 novel The Lost Ones, written by Ian Cameron (a pseudonym for James Vance Marshall, best known for Walkabout). Walt Disney Productions planned to make a sequel based on another Cameron book, The Mountains at the Bottom of the World. 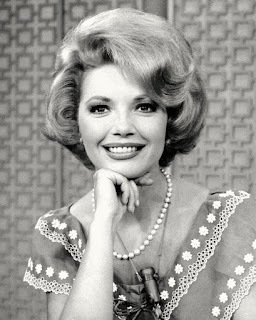 However, those plans were quashed when The Island at the Top of the World earned only modest boxoffice returns. It's hard to believe Disney ever thought they'd get a sequel out of this. It's so dull! And silly. Just a film completely out of its time in the mid-70s. Island at the Top of the World certainly isn't up to par with 20,000 Leagues Under the Sea in production quality, script, or entertainment, but I always enjoy watching it. I think it's because of the atmosphere that it evokes, and also because it was typical 1970s-adventure fare...much like Kevin Connors' Edgar Rice Burroughs series ( which weren't as entertaining ). Hugely disappointing film although the book itself (which bore no resemblance to the movie) was itself pretty dreary. Miscast across the board with widely varying effects work. Had they filmed it a decade earlier with the 20,000 Leagues crew it could have been a classic.